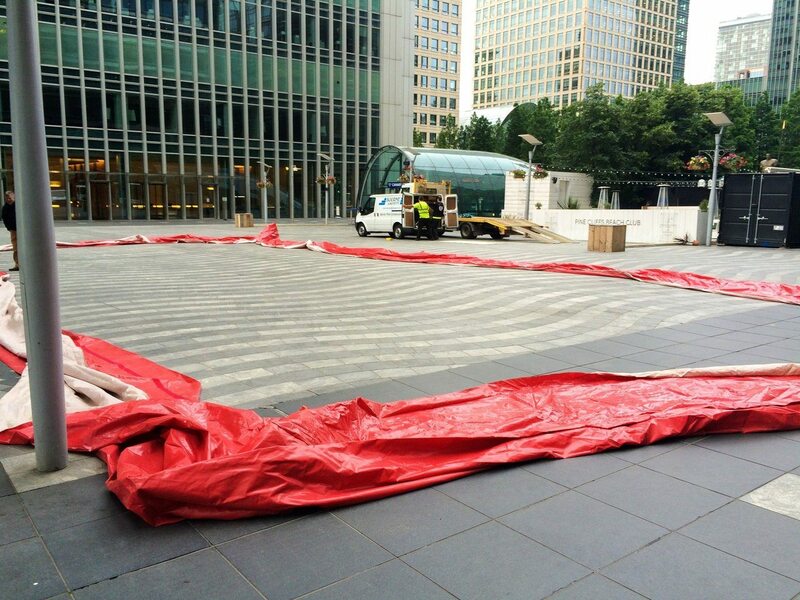 We were approached in early 2015 by the excellent charity Action for Kids for an ambitious installation of two temporary beach volleyball courts in the heart of the financial district. Alongside the security considerations, there were also weight restrictions and close scrutiny from the client, ensuring that we would leave the site as pristine as we had found it. After consultation with their beach volleyball expert, we selected the our washed medium grade RH37 sand, which was coarse enough to stay in place but also had the right amount of give to support the vigorous player movements. We delivered and installed 160 tonne (80 tonne per pitch) of the sand over the course of Sunday morning utilising our sister company John Bourne's fleet of FORS Gold rigid tippers (one at a time due to the weight restrictions). The clean-up was less straightforward and using two mini diggers and a Bobcat we were able to remove the sand effectively, leaving behind little evidence that the event ever happened. This is the kind of challenge that Bourne Sport thrive on and given the success of the initial event we were invited back by the client in 2016 and 2017. 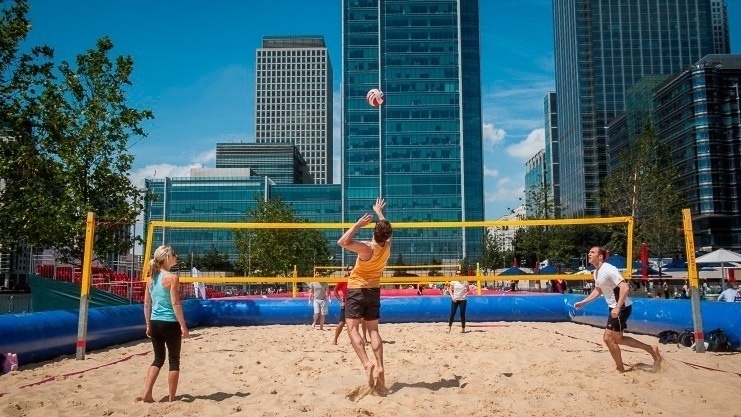 "We have worked with the Bourne Amenity team for three years on our annual flagship fundraiser - the Action For Kids Charity Beach Volleyball Championships at Canary Wharf. We find their service absolutely faultless from planning through to delivery. They are helpful and professional and nothing is too much trouble. Most importantly Bourne Amenity provide us with a high quality playing surface and do not leave site until the client is 100% satisfied. We will definitely continue to work with them on this event."